I might not be driving a BMW in the US; I am happy driving a Vespa in my hometown. The fact that I am working on what I enjoy doing 24/7 is what makes my life more joyous and adventurous - says Imran. Imran Mohammad, aged 29, is an aspiring dreamer and an entrepreneur. He envisions making the world more beautiful and wants to add the tune of rhythm to his designs. He believes in less of noise and more of beauty in subtleness. He is the Founder of Brandvoy Designs and Printnama. Having completed his B.Tech in Mechanical stream during 2003-2007, and MS later in Software Engineering during 2008-2010 in the US, Imran started working as a Lead Business analyst for Related companies, NY and Citibank, STL till 2013. He also happened to be the only one to work on an exciting project in Citibank, which taught him a lot about the industry. After staying in the US for 5 years his heart told him to get back to his motherland to pursue his dreams and Imran just followed his heart. "I might not be driving a BMW in the US; I am happy driving a Vespa in my hometown. The fact that I am working on what I enjoy doing 24/7 is what makes my life more joyous and adventurous," says Imran. • We help our customers, in beating competition in their specific field. • We help you in reflecting your lifestyle. • Advertising at your convenience. • Our creative team understands you. For Imran, everything that he sees around is an inspiration. His favourite insect is ant and he has even inculcated the attributes of an ant in the logo of his venture. He adds the ambiguity and the surprise element in each and every design of his. He has had the beginner’s luck to crack a contract on the first day he launched the company. He has seen the highs and lows of the entrepreneurship journey. Even during the times of financial crunch he has kept his hope and belief high because of which he has found projects that could help him pay off the bills. He believes in working with those companies which have a vision to grow. Majority of his clients are based overseas while he is currently exploring the Indian market as well trying to break the narrow mindsets. His thoughtful designs and dedication to work have earned him a lot of referrals in business. Forget stopping, Imran doesn’t even pause to step up his creativity levels. 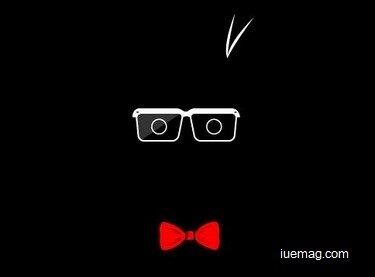 iUeMagazine wishes him the best to continue his adventure and make the world more beautiful. Any facts, figures or references stated here are made by the author & don't reflect the endorsement of iU at all times unless otherwise drafted by official staff at iU. This article was first published here on 10th June 2015. Mohan BN is a contributing writer at Inspiration Unlimited eMagazine.